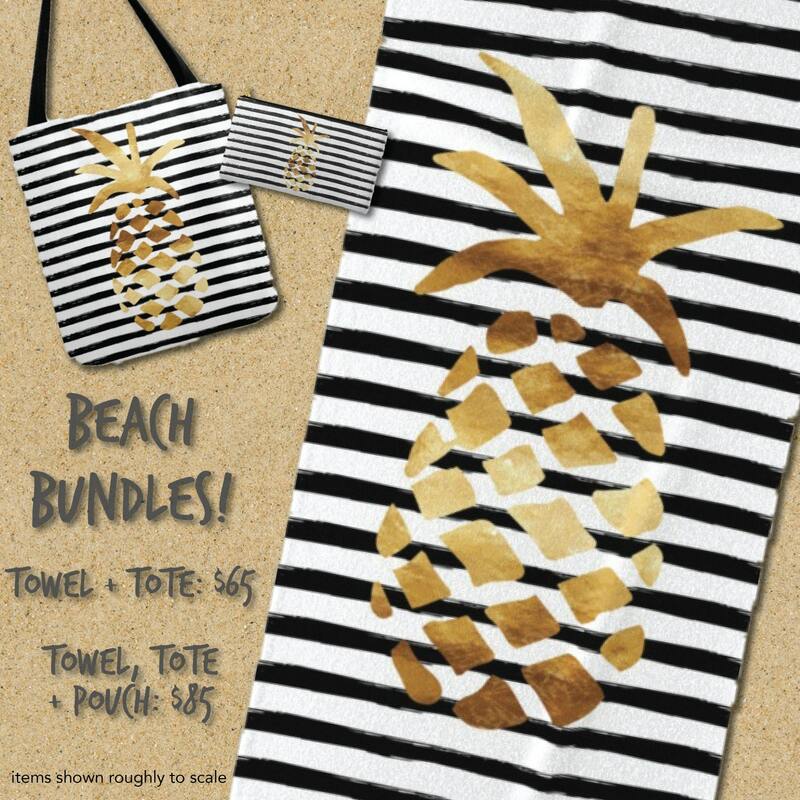 Oversized Beach Towel - Pineapple and Stripes - Gold Black and White - Bundle with a Tote! 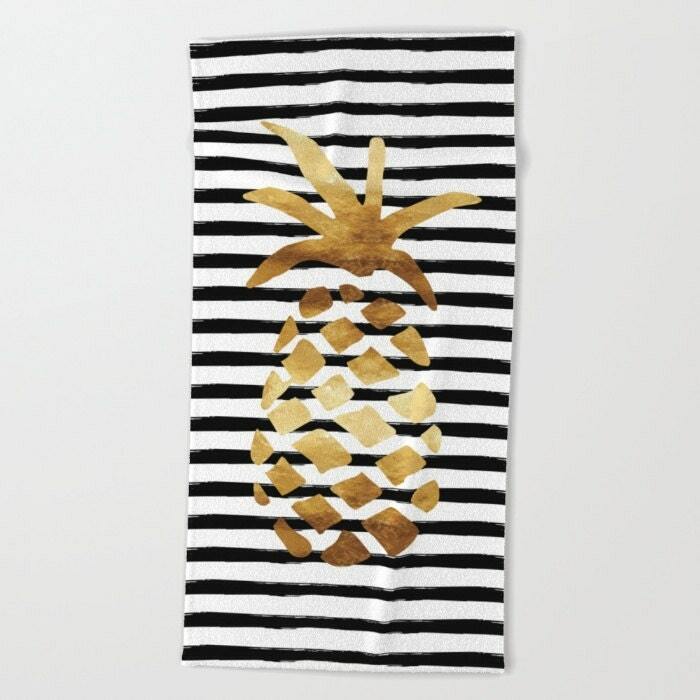 Gold foil-look pineapple over black brushed stripes. Absolutely gorgeous towel. Colors are so vibrant. Amazing finish. Perfect size, bigger than your average beach towel. Love it. 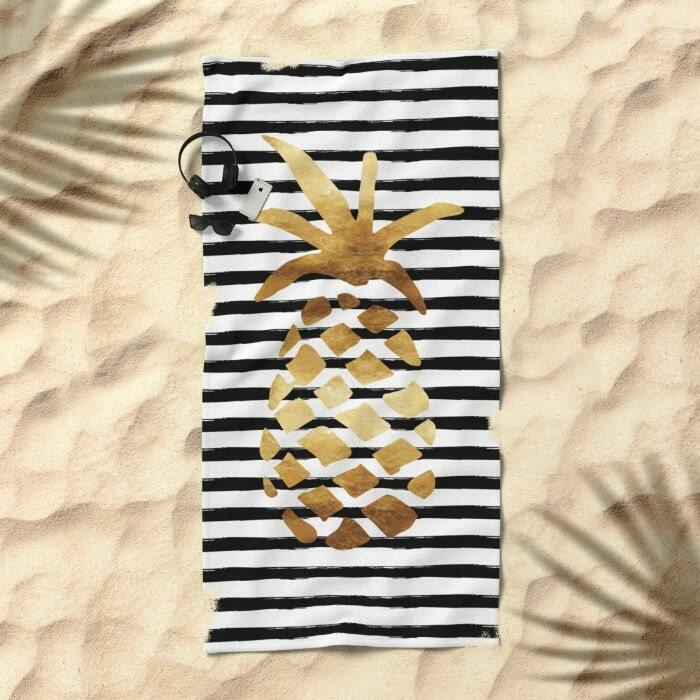 The pineapple towel caught so many eyes especially when laid out on the beach chair! 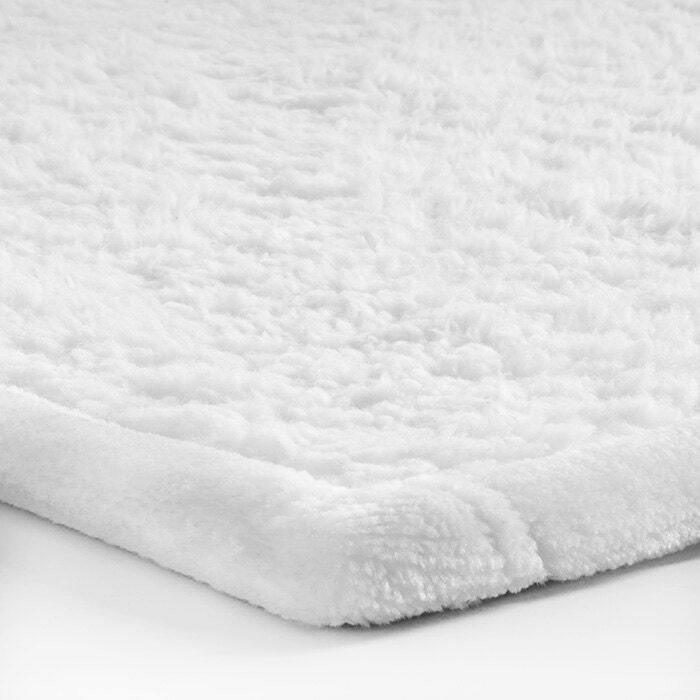 Great soft material and the size was perfect!